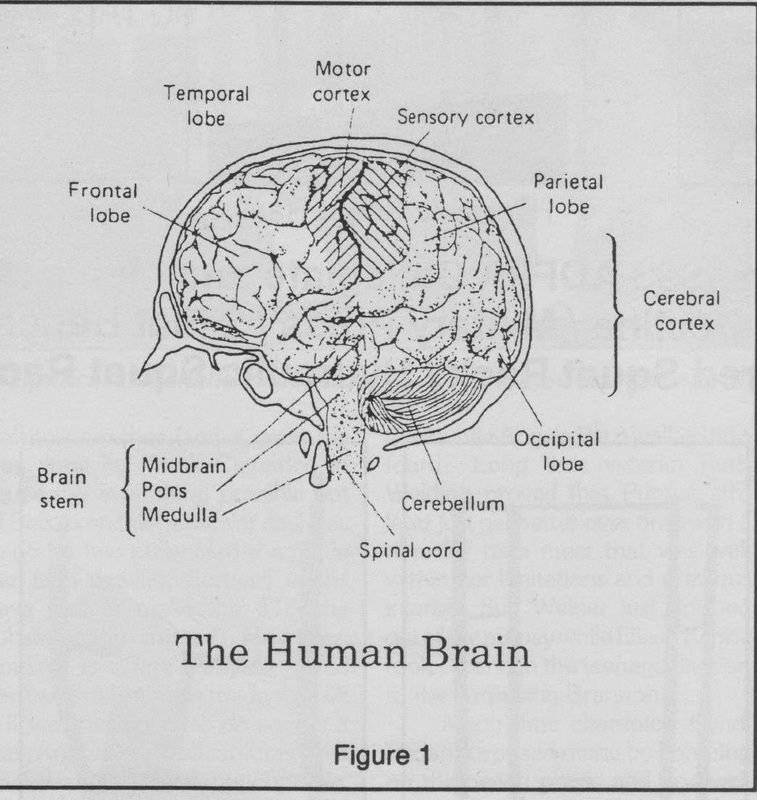 The motor cortex is the part of your brain that determines which muscle fibers contract during a lift (Figure 1). If your brain coordinates muscle forces properly, you use your strongest fibers and get a good lift. If coordination between your motor cortex and muscles is poor, then you will not lift to your potential. Your training program determines how well your motor cortex signals muscle fibers to contract. Scientists are learning that establishing the wrong kind of communication between the motor cortex and the muscles will delay progress and hamper strength gains. Motor units and their muscle fibers receive the signal to contract from nerves connected to the spinal column. The signal originates in the motor cortex. A motor nerve (a nerve connected to muscle fibers) may be linked to as few as one or two muscle fibers or more than 150 muscle fibers. 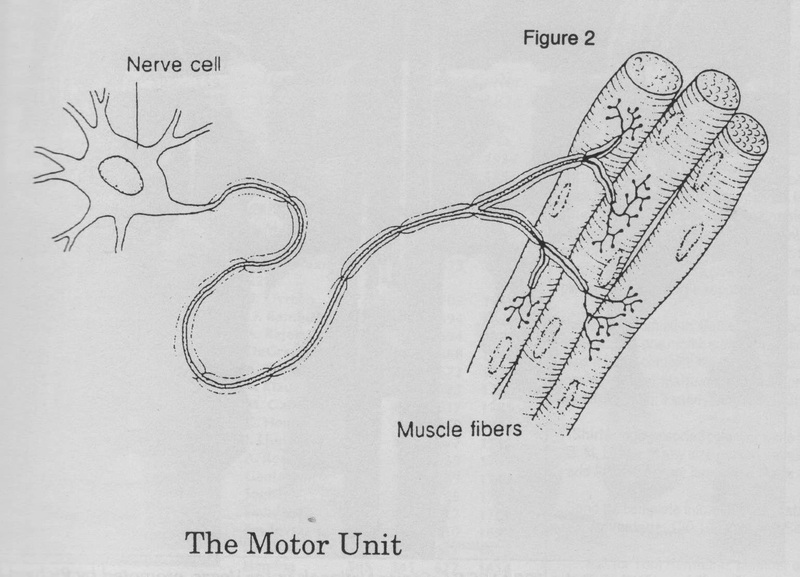 Nerve-muscle combinations are called motor units (Figure 2). Powerful muscles, such as the quadriceps of the legs, have large motor units - each motor nerve is connected to many muscle fibers. Smaller muscle fibers, such as those found around the eye, have much smaller motor units. The three types of motor units are fast glycolytic (FOG), and slow oxidative (SO). They are subdivided according to their strength and speed of contraction, speed of nerve conduction, and resistance to fatigue. The type of motor unit chosen by the body depends upon the requirements of the muscle contraction. The body chooses FOG fibers for lifting heavy weights or sprinting because they are fast and powerful. SO fibers are chosen for prolonged standing or slow walking because they are more resistant to fatigue. The body exerts force by calling upon one or more motor units to contract. This process of calling upon motor units to contract is called motor unit recruitment. When you want to pick up a small weight, for example, you use few motor units to do the task. However, when you want to pick up a large weight, you will use many motor units. When a motor unit calls upon its fibers to contract, all the fibers contract to maximum capacity. Training with weights improves your nervous system's ability to coordinate the recruitment of muscle fibers. It is a kind of 'muscle learning' and is an important way of increasing strength. Strength training improves your nervous system's ability to coordinate the recruitment of muscle fibers. During the first few months of strength training, muscles can increase in strength without greatly increasing in size. In fact, most of the changes in strength during the first weeks of weight training are neurological adaptations. Motor units and their muscle fibers are recruited according to size. According to the size principle, the frequency of motor unit use (recruitment) is directly related to the size of the nerve cell. Motor units with smaller nerve cells, such as those found in slow twitch motor units, are easier to recruit than motor units with larger nerve cells found in fast twitch motor units. Those motor units with the smaller cell bodies will be used first and, overall, most frequently. Those motor units with larger cell bodies will be used last during recruitment and, overall, least frequently. 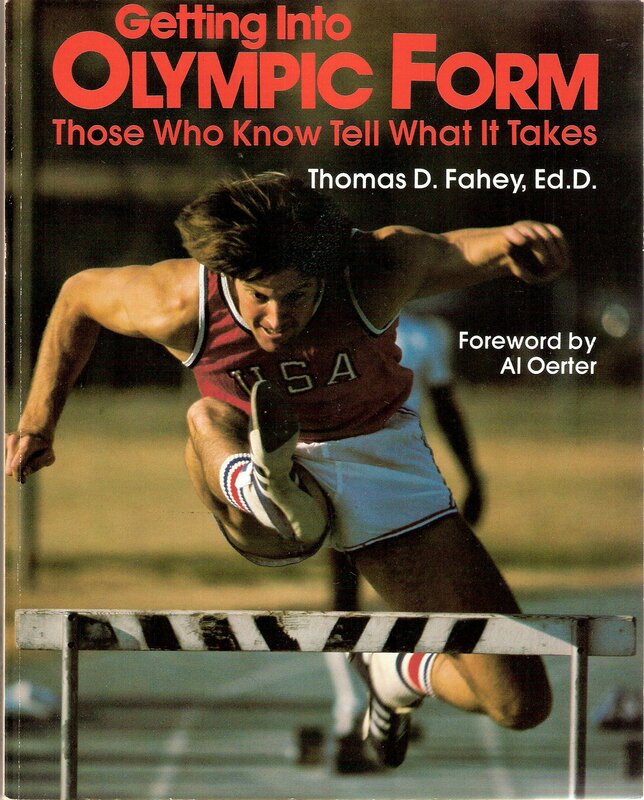 The choice of muscle fibers is determined by force necessary to perform a movement and not by the speed of a movement. For example, lower threshold (easier to recruit) motor units may be exclusively recruited while lifting a very light weight, even when you try to lift it rapidly. However, in lifting a very heavy weight, all motor units are recruited. In general, the large high threshold motor units are only recruited when you exert maximal force. Absolute force is critical. As you fatigue during a workout, you use lower threshold units, even though you are training at 100 percent of capacity. This supports the importance of high quality (high intensity, low volume) workouts in your training program. These are the workouts that develop the strongest high threshold motor units. The characteristics of fast- and slow-twitch motor units are largely genetically determined. However, compared with other types of tissues in the body, skeletal muscle is very plastic. This means that a muscle fiber can change dramatically in response to certain types of stimuli. You can change a motor unit's characteristics by changing the nervous signals from the motor cortex. This can happen when you train for endurance or subject muscles to low frequency electrical stimulation. In other words, if you do the wrong type of training (such as distance running when you are trying to increase strength), you will 'bias' the fibers towards endurance. Strength and power will be compromised. Muscles adapt specifically to the nature of the exercise stress. The strength training program should stress the muscles in the way you want them to perform. The most obvious example of specificity is that the muscle exercised is the muscle that adapts to training. Thus, if you exercise the leg muscles, they hypertrophy rather than the muscles of the shoulders. Fibers and motor units also respond to the rate of force development. So, if you try to generate force rapidly, you will develop the muscles in a different way than when you generate force more slowly. There is specific recruitment of motor units within a muscle depending upon the requirements of the contraction. The different muscle fiber types have characteristic contractile properties. The slow twitch fivers are relatively fatigue resistant, but have a lower tension capacity than the fast twitch fibers. The fast twitch fibers can contract more rapidly and forcefully, but they also fatigue rapidly. The amount of training that occurs in a muscle fiber is determined by the extent that it is recruited. You can only train a motor unit and its fibers when you use it. High repetition, low intensity exercise, such as distance running, uses mainly slow twitch fibers. Endurance training improves the fibers' oxidative capacity. Low repetition, high intensity activity, such as weight training, causes hypertrophy of fast twitch fibers. There are some changes to the lower threshold slow twitch fibers. The training program should be structured to produce the desired effect. Increases in strength are very specific to the type of exercise, even when the same muscle groups are used. Figure 3 shows the results of a study in which subjects performed squats for 8 weeks and made impressive improvements in squat strength. However, strength gains in the leg press were only half as much and gains in knee extension strength were negligible. Specific motor units are recruited for specific tasks. If a person is training to improve strength for another activity, the exercises should be as close as possible to desired movements. Likewise, when attempting increase strength after an injury or surgery, rehabilitation should include muscle movements as close as possible to normal activities. Much of what we have learned about motor recruitment is useful to the practicing weight lifter. Following several principles about motor unit recruitment will help you master you motor cortex and better control the motor units in your major muscles. - Train specifically for competitive lifts. Be careful not to drift to far from presses, pulls, and squats in your workouts. Until biceps curls [once again] become a major powerlifting event, don't concentrate on them at the expense of more critical lifts. Having large, shapely biceps is of little use when you are trying to get a big rep in a contest. The time and energy you spent on your arms might have been better used working the prime mover muscles needed for weight lifting. - Don't overemphasize auxiliary exercises that ostensibly work the same muscle groups as the primary lifts. 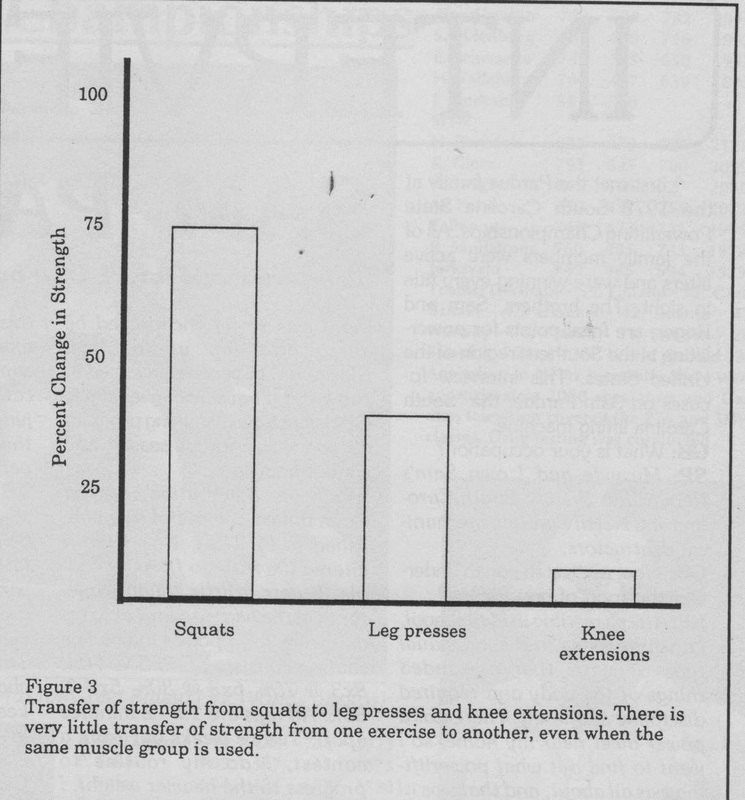 For example, many lifters do knee extensions to help improve performance in the squat. Several studies have shown surprisingly little transfer from these lifts to the primary exercises. As discussed, a study conducted in Canada by Sale showed that lifters who improved squat strength by 75 percent only improved knee extension strength by 3 percent. - Don't do too much endurance exercise if your goal is to gain maximal strength. Endurance exercise is important for good health. Unfortunately, classic exercises like jogging interfere with your ability to gain strength. Strength training will provide some small benefits against heart disease (although much less than endurance exercise). Serious weight lifters have a problem when trying to use exercise to prevent heart disease. - Train explosively. This means exerting as much force as rapidly as possible duri8ng the active phase of the lift. The largest, most powerful motor units are used in a lift when a large nerve impulse is sent from the motor cortex. You can influence this signal by lifting explosively. This doesn't mean cheating on lifts or moving light weights very fast. Rather, it means consciously trying to 'explode' during the power part of the movement. For example, when doing a heavy single on the bench, lower the weight into position, staying tight and controlled. Then, blast the weight upward. If you do this consistently in training, you will gain strength faster. Also, this skill will transfer to a contest so that you will lift to your actual strength potential. - Give yourself enough rest between training sessions. Remember, the high threshold units respond to absolute effort. You will only train them significantly when you have had enough rest. When you build rest into your program, you can plan heavy training days. Those are the days that develop the high threshold, strongest motor units. Those are the motor units that give you the big lifts. - Include enough quality in your program. Intensity is the most important factor in increasing strength and power. Don't do a lot of reps at the expense of singles, doubles, and triples in your program. Doing 30-40 reps of a lift with 135 lbs may cause you to fatigue, but it will do little to increase absolute strength. The Bulgarian Olympic weightlifting team has had considerable success with multiple set, single rep workouts. Except for warmups, they don't do multiple reps when doing the Olympic lifts. From a theoretical standpoint, this method has a lot of merit - single, maximal reps cause your body to use the largest, most powerful motor units. Motor units must be used to be trained. Heavy singles call on the high threshold units that translate to bigger lifts. You can make faster progress in your program if you will understand the way your motor cortex works and harnesses its power. Force the motor cortex to call on the largest motor units during training and you will have better results in weight lifting contests or wherever you need to exert maximal strength and power.